Darlene Hunter is a founding member of the Center for Sacred Studies, the Ministry Training Program, and since 1996 has been facilitator for the Stargate Mystery School, an international school of consciousness located in the US and Europe. She has been lead instructor for Children’s Stargate since 1998. As a founding member of Kayumari, a global spiritual village, Darlene travels internationally to support community grown by sharing of resources, knowledge and prayer dedicated to the next 7 generations. Rev Sonja Marcinek, Ministry Training Program Registrar is originally from Switzerland is a CSS Minister, CSS International Ministry Circle Staff Holder, works with OPINET Canada and Owner / Operator of Sweetgrass Medicine, works as a consultant, Herbalist and Integrative Nutritional Health Coach. Rev Sonja is dedicated to connecting people to nature, to feel in alignment with earth-based ways of prayer. Jyoti is internationally known as a spiritual and psychological consultant working with spiritual emergence as it manifests through the individual and community. She has explored multicultural approaches that raise consciousness in the body, resulting in a healing of body, mind and Spirit. Her spiritual and psychological insights provide a balanced approach to integrating one’s life. Her extensive study of indigenous healing and spiritual practices combined with her training in Jungian and psychological approaches to mental health have inspired a variety of projects. Her consistent focus is to actively affirm our role as guardians of this planet, consciously creating communities, through business and social reform that bring heart and divine intention to the forefront. Russell D. Park is a licensed clinical psychologist specializing in transpersonal psychology and neurotherapy. Russell is a contract faculty member for the Institute of Transpersonal Psychology. As the former research coordinator for the Spiritual Emergence Network, founded by Stan and Christina Grof, Russell has taught professionals in Europe, South America, and the United States in the diagnosis, treatment, and transformative potential of spiritual emergence phenomena. In addition, he has background in clinical laboratory medicine, alternative healing approaches, biotechnology research, and computer science applications and practices. Other interests include personal empowerment, the interface between psychology and spirituality, drug additions, and the use of visual and auditory media for psychological change. Russell, together with his wife, Jyoti, teaches seminars and workshops on transformational process to an international community of professionals. Darlene Hunter is a founding member of the Center for Sacred Studies, the Ministry Training Program, and since 1996 has been a facilitator of the Stargate Mystery School, an international school of consciousness located in the US and Europe. She has been lead instructor for Children’s Stargate since 1998. As a founding member of Kayumari, a global spiritual village, Darlene travels internationally to support community grown by sharing of resources, knowledge and prayer dedicated to the next 7 generations. Nancy Rowe has worked in the field of spirituality and transpersonal psychology for over 15 years. She is on the faculty of the Institute of Transpersonal Psychology and has a heart-centered counseling and expressive arts therapy practice in the Hudson River Valley. Nancy is most interested in helping others to reconnect to Earth, to their imaginations, and to their creative, intuitive selves. Her devotion to Earth is expressed through her spiritual practice, in the retreats, pilgrimages, and workshops that she facilitates, in her writing, photography, and work with Woodstock Land Conservancy. She lives in the Catskills in the wilds of the Woodlands! Ryan Brandenburg has been practicing Zen meditation since 1968. He is an ordained Soto Zen Buddhist priest in the lineage of Kobun Chino-roshi and was the Director of Chino-roshi’s temple, Jikoji, for 12 years. He trained with Zen shiatsu master Ryuho Yamada-roshi in the 70’s and again in the 90’s, and currently is on the teaching staff of the Institute for Conscious Bodywork. He is active in Native American ceremonial ways and has been integrating earth-based forms of worship and prayer with Zen meditation since 1970. Gloria graduated from the University of North Carolina. Prior to her ordination by the International Church of Ageless Wisdom, an interfaith church without walls, she was a journalist. For twenty-plus years, Gloria has taught all over North America and in many other countries. She has conducted seminars and given lectures for such diverse groups as psychotherapists, actors and doctors, in venues ranging from large conferences to colleges, churches, hospitals and specialized groups. Gloria is the author of Where Two Worlds Touch: Spiritual Rites of Passage (1991) and Barefoot on Holy Ground: Twelve Lessons in Spiritual Craftsmanship (2001), both published by Ballantine Books. Gloria lives in Winston-Salem, North Carolina. Her web site www.gloriakarpinski.com includes a calendar of her workshops, lectures, Intensives and other specialized programs. Alena Hrabcakova is a graduate of the MTP Program class of 2011, part of the Serpent Sisters Tribe. Currently Alena is in Columbus, Ohio to help care for her aging parents. She spent one year in Northern California after living and serving for 7 years at Red Lake Nation Reservation in Northern Minnesota. In 2005 a shooting happened at the High School where ten lives were taken, the second worst shooting in the United States outside of Columbine. 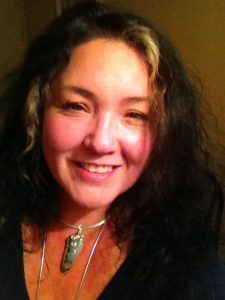 Alena is an art therapist with a psychoanalytic approach; she is also a writer, artist, and poet and was trained as a Medicine Woman by traditional Ojibwa women and by her Slovakian Grandmother. Alena has worked over 20 years with adolescents at risk, PTSD youth and families, in Suicide Prevention with some hospice work and more. She has taught at Ohio State University and Columbus College of Art and Design. Alena is certified through the University of Montana as a National Native Trauma Therapist, and studied at Leech Lake College, which is Ojibwa, to learn how to be a therapist from that perspective. 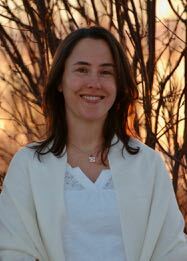 Alena’s practice is based on narrative therapy, medicines if needed, and being a soul midwife to one’s story. 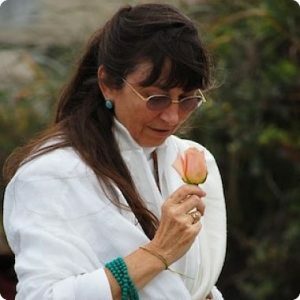 Through her life-long devotion to the Great Spirit, Ann has been guided by visions, dreams and miraculous encounters. In the last three decades she has received initiations into traditions from around the world. This journey has led her to the center of her Star origins in her ancestral Jewish and Moravian lineage. Ann serves as a ceremonial guide for people in life transitions: birth, coming of age, marriage, and death. For several decades she has joined with her beloved husband Bob growing their spiritual prayer family. As a devotee of the Mother Waters, Ann birthed the WaterSongline with Omileye Yeyeochun and sits on the Mothers of the Water Council. Ann recently completed a decade of service as a member of the leadership staff of CSS and one of the conveners of the International Council of Thirteen Indigenous Grandmothers, during which time she traveled nationally and internationally with the Grandmothers to further their voice in the world. She continues to walk a prayer of peace, making offerings to sacred sites of our Mother Earth and cultivating alliances among all beings. She sings and dances to celebrate the many faces of the divine, offering ceremonial ways of transmutation and Belonging. Ann is here to honor and to serve, for the next seven generations and beyond. Born into a family of Methodist Protestant ministers, led by dreams — starting at age seven — through many life stages: university in USA and Japan; professions as teacher, opera singer, builder-carpenter. These dreams led to relations among native elders/prophets, their families and ways of prayer. Bob resides in the Sierra foothills with his wife, Ann Rosencranz and son Riley, as a ranch hand, farmer and ritualist of the Native American Church. Bob is also a board adviser for the Center for Sacred Studies. Omileye “Omi” Achikeobi-Lewis is a humble woman of prayer, ceremony, and a fifth generation “Seer”. Through the divine mother energy and the ancient African oracle she was chosen and given the titled positions Crown of the Mother, and a YeyeOsun (Mother). Many call Omi an ancient philosopher in modern day times as she is knowledgeable about world cultures, ways, their healing and cosmological systems. Omi is an author of several books including her latest “Beautiful Waters”, and an award winner of the prestigious Prince’s Trust. With her husband Derrick Lewis, she is the founder of YeyeOsun: The Institute of Sacred Balance, the Humanity4Water Awards, and WaterSongline (which she founded with Derrick Lewis, Ann Rosencranz, and Bob Boyll). Omileye has recently collaborated with the UN on their international Post Sustainable water agenda, and has been invited to be part of the UN Interfaith WASH Alliance. Her mission in life is to help the world return back to balance through spreading the love, knowledge and compassion of the divine feminine and ancient ancestors. Omileye is currently studying for a Masters in Holistic Counseling at Winthrop College. Barbara Harris Whitfield, RT, is a researcher, near-death experiencer, therapist and author of five books. She shares a private practice in Atlanta, with her husband Charles, helping adults who were traumatized as children. She presents workshops on near-death experiences, thanatology (the study of death and dying), and spirituality. Charles L. Whitfield MD is a pioneer in trauma recovery, including the way we remember childhood and other trauma and abuse. A physician and front line therapist who assists trauma survivors in their healing, he is the author of fifty published articles ten best-selling books on trauma psychology and recovery. Luisah Teish is a teacher and an author, most notably of Jambalaya: The Natural Woman’s Book of Personal Charms and Practical Rituals. She is an Oshun chief in the Yoruba Lucumi tradition. She is an African-American native of New Orleans, Louisiana and a resident of Oakland, California. Her original ancestry is Yoruba (West African). Teish began teaching in 1977. Share the post "Ministry Training Program – Staff"